Marvel recently posted its new poster for its ninth film in the Cinematic Universe, Captain America: The Winter Soldier. 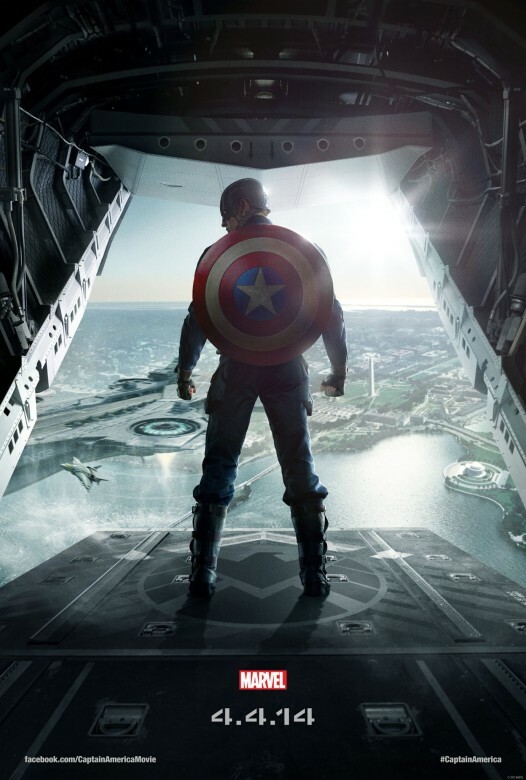 The poster shows the beloved hero prepping to jump off a S.H.I.E.L.D plane. It’s a nice visual to accompany the teaser trailer that is expected to be on iTunes on Thursday. Captain America: The Winter Soldier, directed by Anthony and Joe Russo and starring Chris Evans, Scarlett Johansson, Sebastian Stan, Anthony Mackie, Cobie Smulders, Frank Grillo, Emily VanCamp, Hayley Atwell, Robert Redford and Samuel L. Jackson, arrives to theaters on April 4, 2014.